Formula One constructors Williams have confirmed rookie Sergey Sirotkin will join their racing team for the upcoming season, making him the solitary current Russian F1 driver and only the third in the sport’s history. Moscow-born Sirotkin will partner with 19-year-old Lance Stroll in the youngest line-up in the sport, completing the 20-man driver roster. 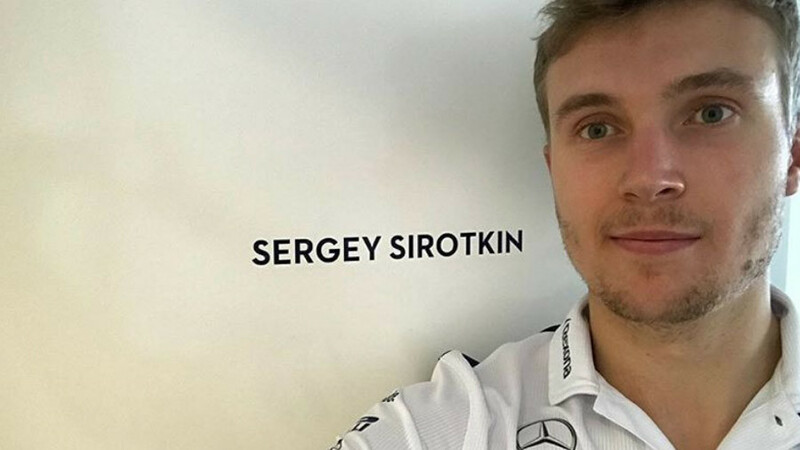 The 22-year-old Sirotkin is thought to bring considerable sponsorship money to the team. “I’m happy to announce that this year I will be racing for Williams Martini Racing! For me it’s a great honor to debut in F1 for this legendary team. Big thanks to the team and SMP Racing for the trust! Can’t wait to get behind the wheel of #FW41! See you in Barcelona on Circuit de Barcelona-Catalunya!” Sirotkin posted on his Instagram account. Sirotkin is the third Russian driver in F1, after Vitaly Petrov and later Daniil Kvyat, the latter being to date the only Russian to have achieved a podium finish in the motorsport. The appointment may have shocked many F1 fans, especially as the youngster was in direct competition for a racing seat with Pole Robert Kubica, who is making a comeback in the sport after a seven-year layoff due to injuries sustained in a horrific rally accident. However, after he and Sirotkin raced in Abu Dhabi, the Russian emerged as the favorite for the place, and Kubica subsequently settled for a reserve role. Sirotkin nearly made his breakthrough four years ago as the result of an investment deal between racing team Sauber and a trio of Russian companies in summer 2013. Sauber intended to hand Sirotkin a race seat for 2014 and planned an intensive development program for the then-17-year-old, although the move never materialized. Sirotkin has never raced in F1 but drove in four Friday Practice sessions for Renault in 2017, which made him their official reserve driver for 2017.